Another story of superhuman effort at the Olympics. It’s hard for me to imagine people tuning out the pain to this degree. Look back to the August 6th post to learn about Kerri Strug’s victorious vault. Humans can really be amazing. So I guess it’s easy enough for me to play tennis through a bit of a cramp. And I love the last line of this post. What planet is this guy living on? LONDON – Move over, Kerri Strug. America has a new Olympian performing heroically on a broken leg. Runner Manteo Mitchell said he “felt” and “heard” his fibula breaking midway through his lead-off leg of the 4×400-meter relay in qualifying heats. 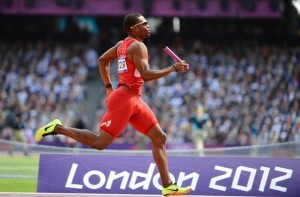 He kept running, going another 200 meters and handing off the baton to Joshua Mance. 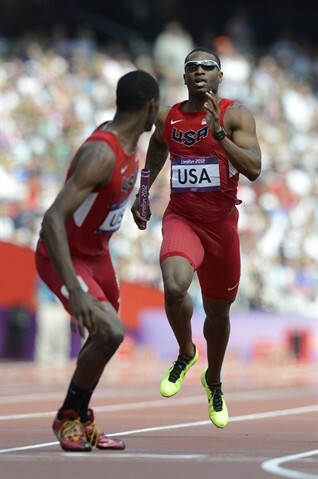 The U.S. went on to finish second in the heat, advancing to the final Friday night. America would not have kept its medal hopes alive in the event without the effort of Mitchell. His injury was diagnosed after the race by team doctor Bob Adams: broken left fibula.